While I was in Melbourne last month, I went and visited Adriano Zumbo's patisserie in South Yarra. My friend Coby (who I was in Melbourne with) is a baking lover and it was therefore a high priority on her list of things to do while in Melbourne. 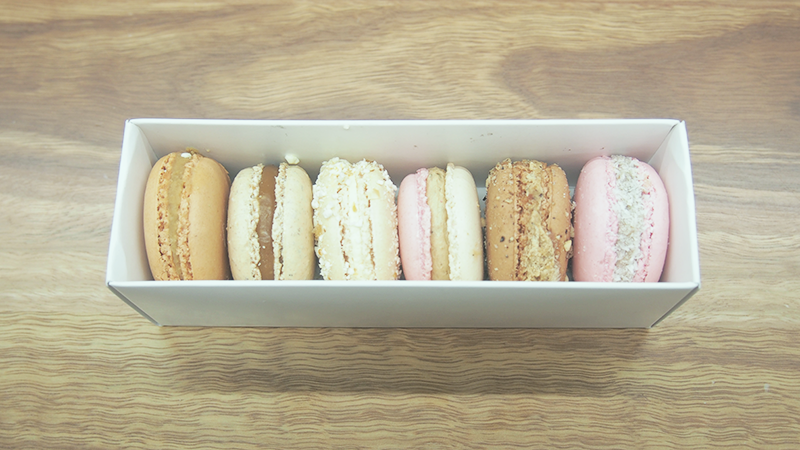 One of the reasons we were really excited to go to Adriano Zumbo was for his amazing macaron flavours. We were not disappointed! The flavours that I opted for on the day were: caramelised white chocolate, salted buttered popcorn, toasted marshmallow, hazelnut praline, finger bun, and salted butter caramel on toast. 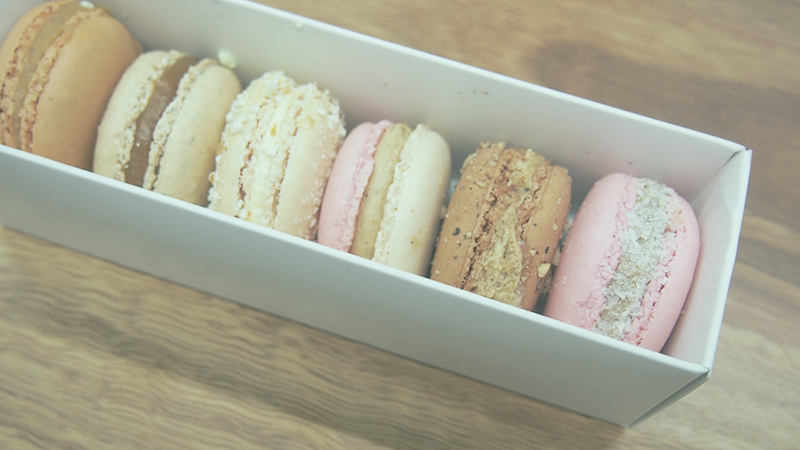 They were definitely the most amazing macarons I have ever eaten. 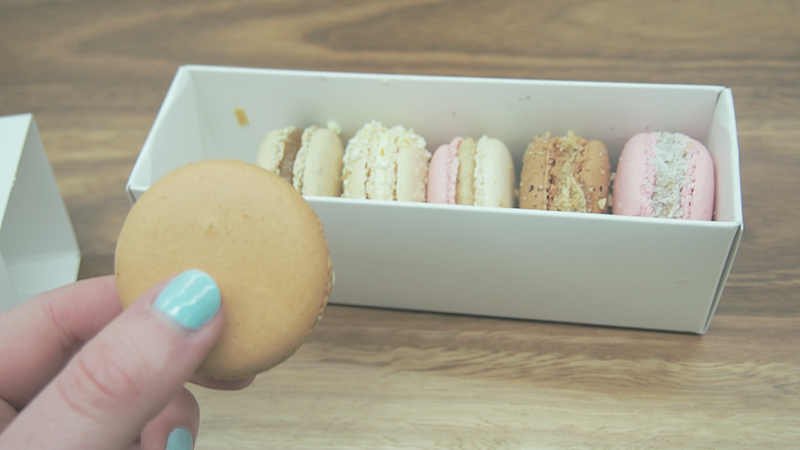 Have you tried Adriano Zumbo's macarons? If so, which flavours were your favourites? The flavours sound divine, and have to be my favourite combinations! I would love to visit Adriano's patisserie one day.